Little Buckeye Children’s Museum and Directions Credit Union are proud to announce the grand-opening of a new Post Office exhibit at Little Buckeye. The ribbon-cutting ceremony will be held on Friday, February 15 at 11 AM on the second floor of the museum, located at 44 West Fourth Street in downtown Mansfield. 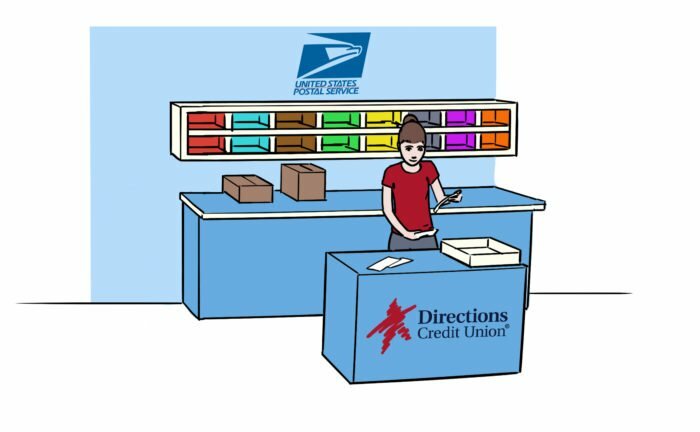 In the Directions Credit Union Post Office exhibit, children can use their imagination to play mail carrier. They will be able sort and deliver mail by color all throughout the museum. The exhibit comes complete with postal worker uniforms, mail bags and a new mail truck they can drive around town. Speaking of creative ideas, the Museum continues to offer an Art Class each Thursday from 10:15 AM to 11 AM. This event is free to members, free with an $8 paid regular admission, or available for a $3 charge. This class is designed for children aged 2 through 8. Younger kids may attend but may require extra assistance from their attending adult.